We are a Christian church which believes in the Bible and Jesus Christ as the Savior. COur praise & worship is vibrant with cheerful songs and songs full of grace, as seen in the CD 'Warera Kami no Tami (We are the people of God) which we colaborated with Canzion producciones company. We hope to share about the salvation through Jesus Christ and the Bible to many people. Our hope is to help individuals and families, and people to find the purpose of life in God. We have various activities. Among them are supporting marriage relationship and restoration, and parenting coaching etc. 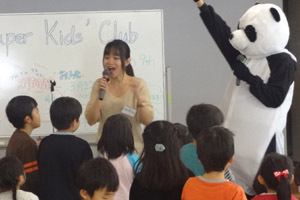 We promote children's bilingual education through a program such as Super Kids' Club. We have network with the churches in North America, Central America and other areas. We have received various guest speakers from abroad and inside Japan. We have fellowship and the unity with CFNJ Bible School and other Protestant churches in and near Sapporo. 1This church was founded by Rodolfo Garza and his family who were sent by a church in Mexico (Amistad de Puebla)in 1992. This church is under the covering of Amistad group. We have fellowship with them and visit there or receive guests from there often.